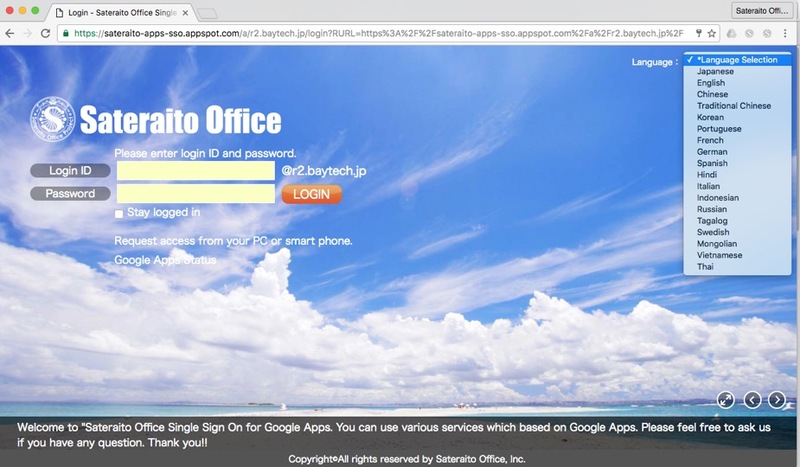 "Sateraito Office Single Sign On for Google Apps" provides security features for Google Apps environment such as access control based on MAC, UUID and IP addresses, Passwrod strengthening policy. Sateraito Office Single Sign On also helps administrators to easily manage users information, organization information, keeps these information consistent between on-premise AD and Google Apps environment. Single Sign On is deployed on Google App Engine as main service, and on AmazonEC2 as backup service. ・Google Apps Users, Groups, Orgnizations management function. 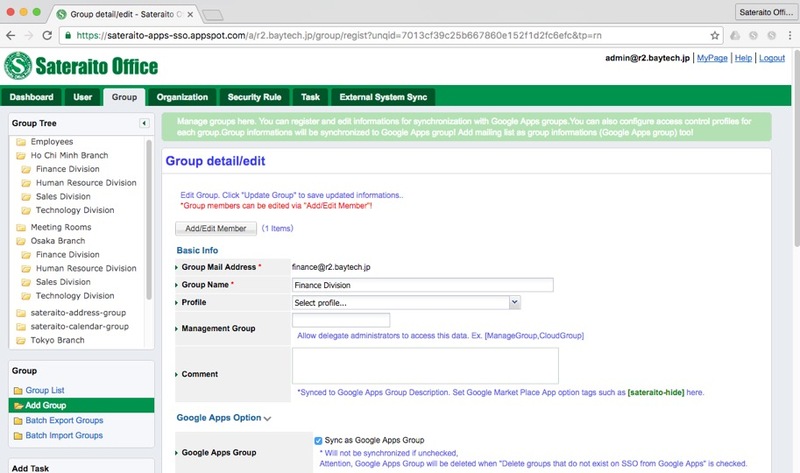 ・Synchronize SSO Users with Google Apps Users and vice versa. 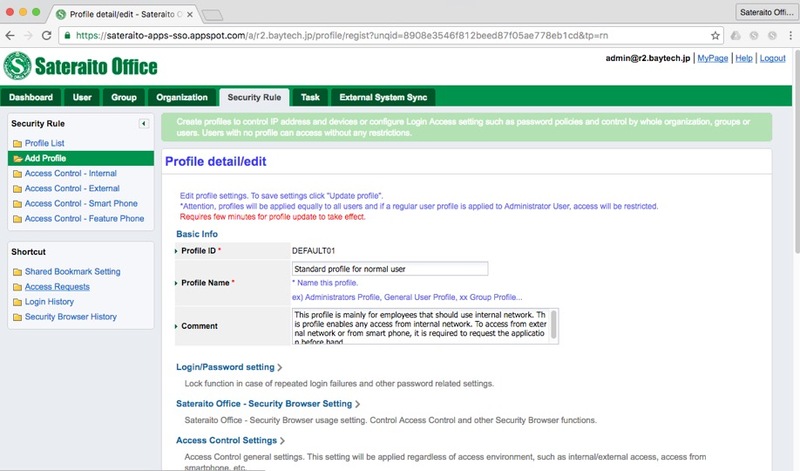 ・Access control rules can be grouped as Profile ==> apply profile to each user or group of users. ・Auto login to Google Apps when logging in to AD. ・Support Google Apps multi domains.